Transcontinental & Western Air Flight 3, a Douglas DC-3 (NC1946) was a scheduled transcontinental coast to coast flight originating from New York City with the ultimate destination of Burbank/Los Angeles, California. Unlike today's non-stop transcontinental flights, this flight was to make several stops on it's way across the country. One scheduled stop it made in the early morning hours of January 16, 1942 was Indianapolis, Indiana where the flight boarded several passengers including actress Carole Lombard, her mother Elizabeth Peters, and MGM Studio Agent Otto Winkler. 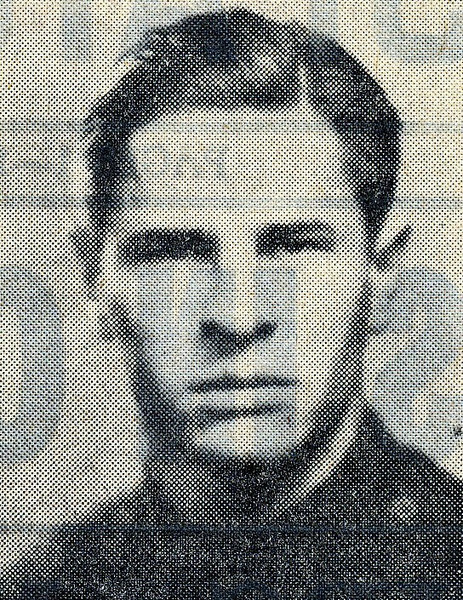 Lombard and company had just completed a successful cross-country trip selling two million dollars worth of war bonds to support the war efforts. At 5:27 AM, the flight departed Indianapolis and continued west until it reached St. Louis. Taking on cargo, the flight was delayed nearly two hours by a layer of early morning fog that reduced visibility to less than one quarter of a mile. At 9:03 AM, the fog lifted and the flight continued on with more scheduled stops and strong headwinds. By the time Flight 3 reached Albuquerque, New Mexico it was running more than three hours late. More delays were experienced in Albuquerque as passengers and cargo had to be removed in order to make room for fifteen military pilots and crew who had war time travel priority. 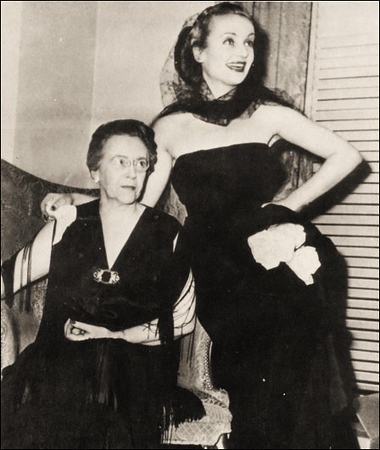 Initially, the Lombard trio was removed from the flight, but Carole insisted that their group had priority due to her participation in the war bond tour. The gate agent not wanting to argue with the obviously irritated Lombard, allowed her party to continue their trip. 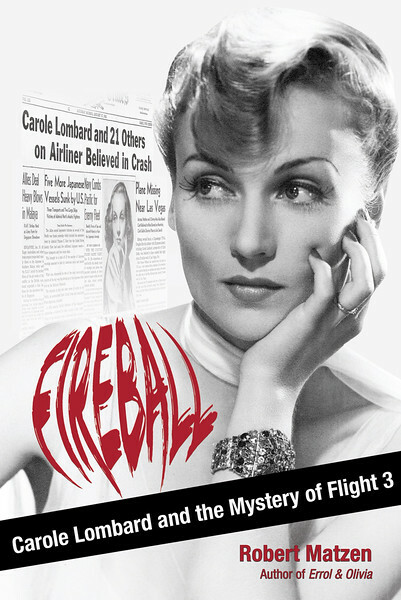 The only other civilian passenger allowed to continue was Mrs. Lois Hamilton. 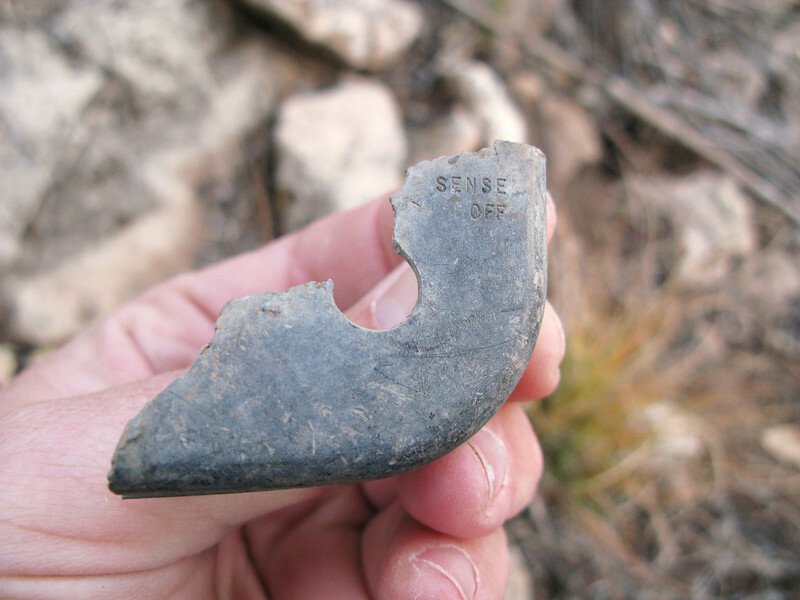 An aircraft crew change also took place in Albuquerque. In command of TWA Flight 3 would be Captain Wayne Williams, Co-pilot Morgan Gillette, and Air Hostess Alice Getz. Under the normal planned route, the flight would have been able to continue direct to its final destination however the extra weight of passengers, cargo and headwinds required an en route fuel stop at Las Vegas, Nevada. At 4:40 PM, Flight 3 departed Albuquerque for the Las Vegas Air Terminal which unlike Boulder City (TWA Terminal) had lighted runways. It was 6:37 PM when Flight 3 reached Las Vegas. This stop was quick. Just enough time to take on more fuel, have passengers stretch their legs, and for Hostess Getz to top off the two galley containers with hot coffee. At 7:07 PM, the flight departed runway 34 and began its climbing left turn across the Las Vegas Valley. The night of January 16th was dark and moonless as the DC-3 leveled off at the cruising altitude of 8,000 feet. The night was made even darker with the government's decision to blackout the lighted airway beacons due to wartime national security threats. With the passenger cabin lights comfortably dimmed, up front in the cockpit, Captain Williams probably had the instrument and cockpit flood lights turned up to set the power for cruise flight. Perhaps Co-pilot Gillette was busy with a navigation chart or trying to confirm their course. Regardless of the reason or task at hand, neither pilot noticed the selected course was sending them into the snow-capped 8,500 foot Potosi Mountain. 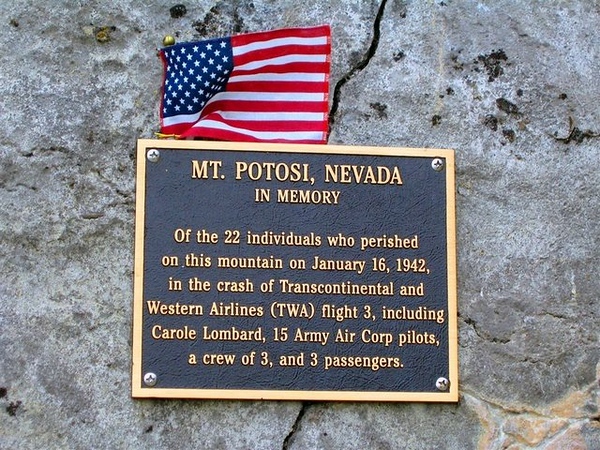 The collision with the vertical cliff of Potosi Mountain was devastating and all 22 passengers and crew were killed instantly. 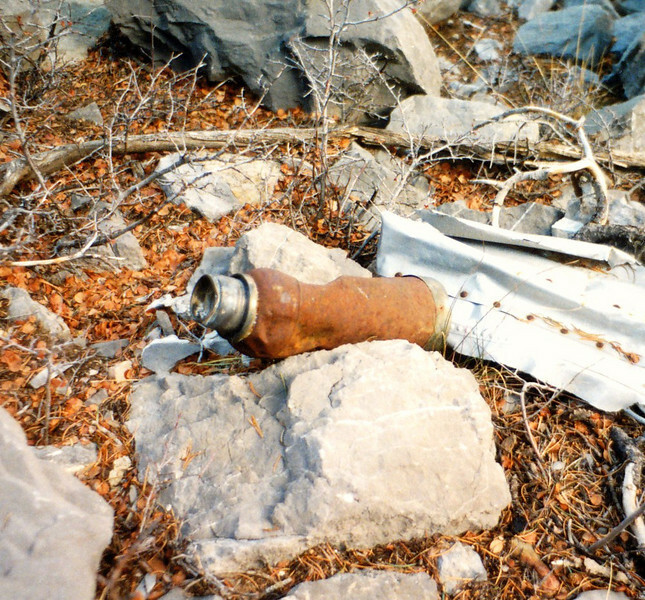 When the final report was issued nearly a year later, the Civil Aeronautics Board (CAB) investigators were never able to determine why the flight flew off course and into mountainous terrain. It was around 1990 when I started my research of TWA Flight 3. The story of the accident was interesting to me in that it involved many aspects of history, two of which were World War 2 and the other was the "Golden Age" of Hollywood. Armed with the CAB Report, newspaper articles, and a couple grainy photos, I had little other help to locate the wreck. I decided the best way to find the crash site was to spot the location from the ground and then from the air. In the next six months I planned my hike carefully and decided the best way to approach the site would be from the south side of the mountain (This was the route used by the recovery teams in 1942). 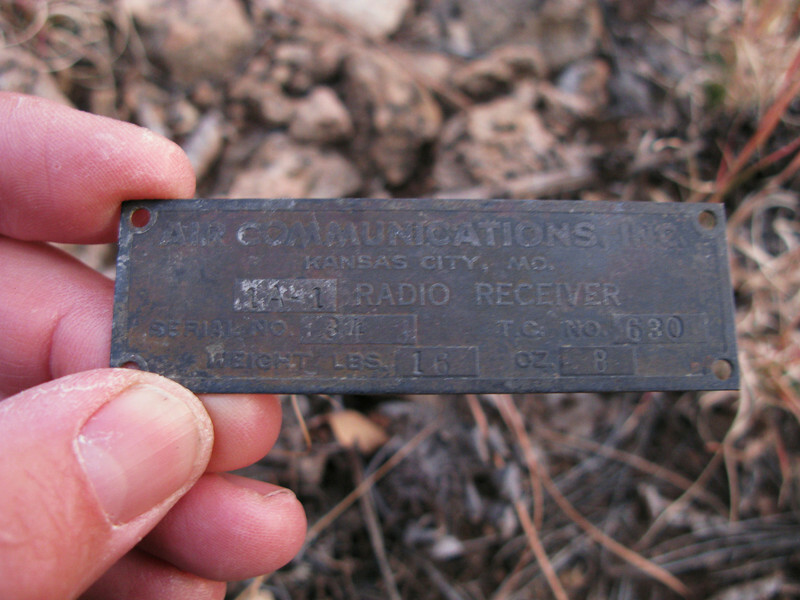 The hike up the mountain was very steep, but I did manage to locate the crash site after a few hours. The site as I first located it during 1991 was relatively pristine with very little foot traffic. 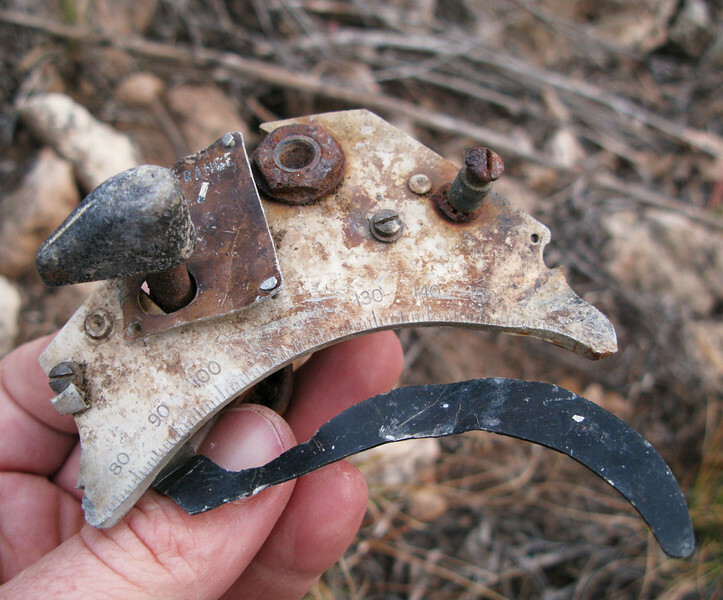 Identifiable components such as landing gear and engines were located and documented. 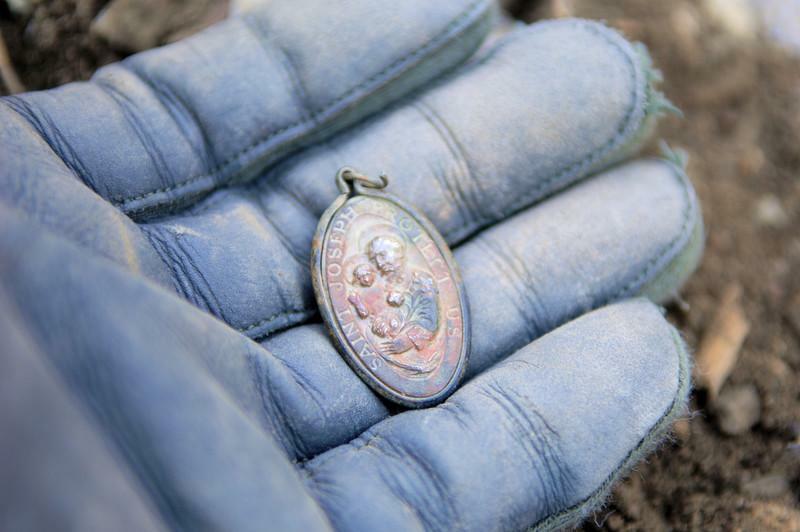 It was the smaller items that most people stepped over that proved to be the most revealing in the visits I have made throughout the years. Unfortunately today, the crash site is a publicized hiking trip on the internet and I would guess that it is now visited by hikers every other weekend. 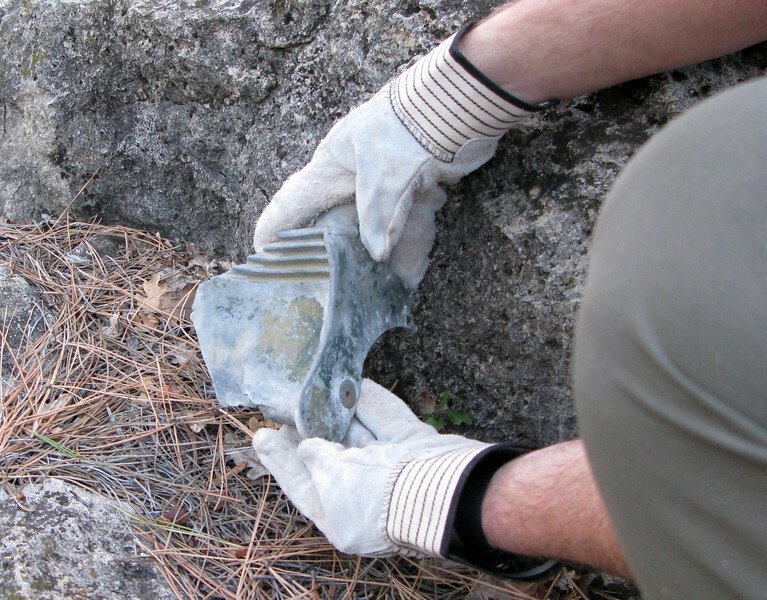 When I last visited the site in the early part of 2008, soda cans, bottles and other trash littered the site. 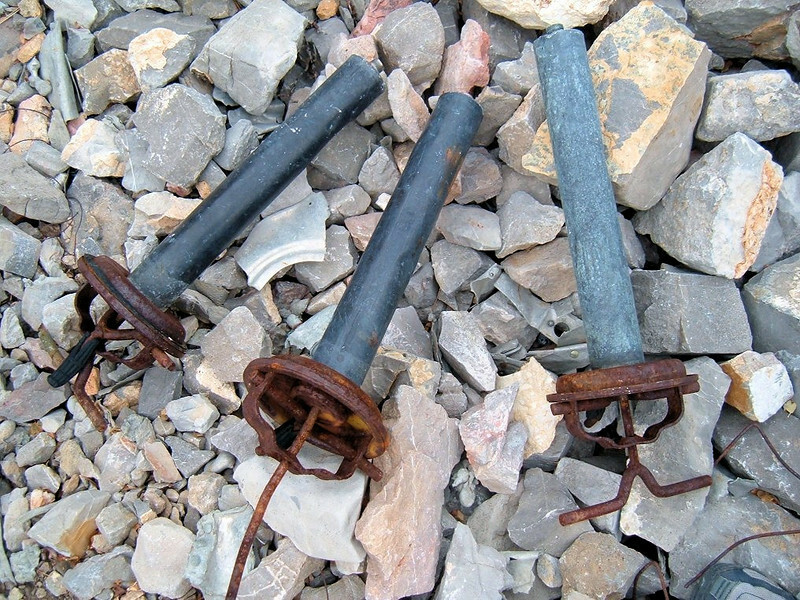 In addition, one engine has been rolled down the steep mountain slope by vandals. I still have plans to replace a stolen memorial plaque at the site, but I am hesitant due to possible vandalism. I would like to see the U.S. Forest Service be more pro-active and protect this historical resource from further damage. 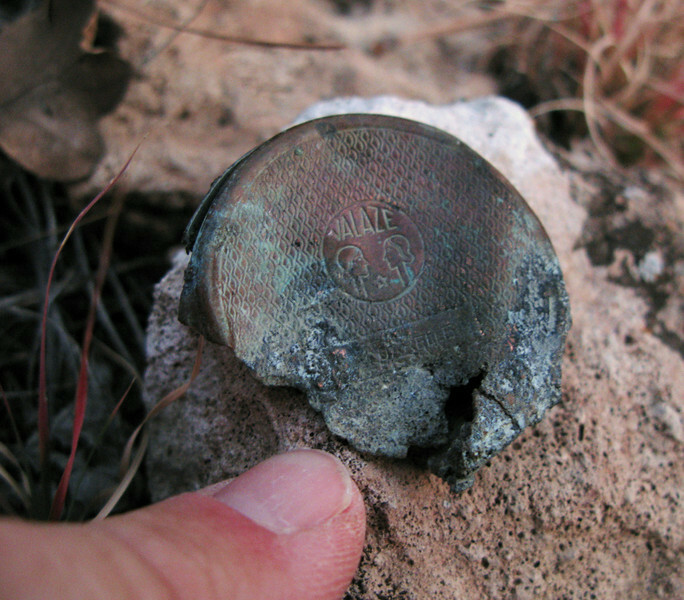 The crash site itself lies within the Red Rock Canyon National Conservation Area which is managed by both Bureau of Land Management (BLM) and U.S. Forest Service. 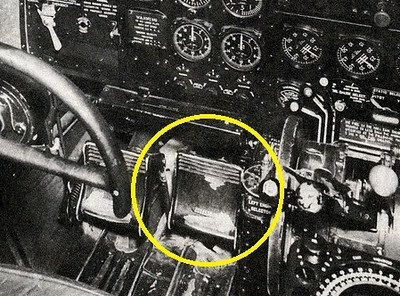 This photo illustrates the Sperry MK-1 Automatic Direction Finder Control Unit (ADF) installed on a TWA DC-3. The control unit was mounted on the control pedestal between the two pilots. 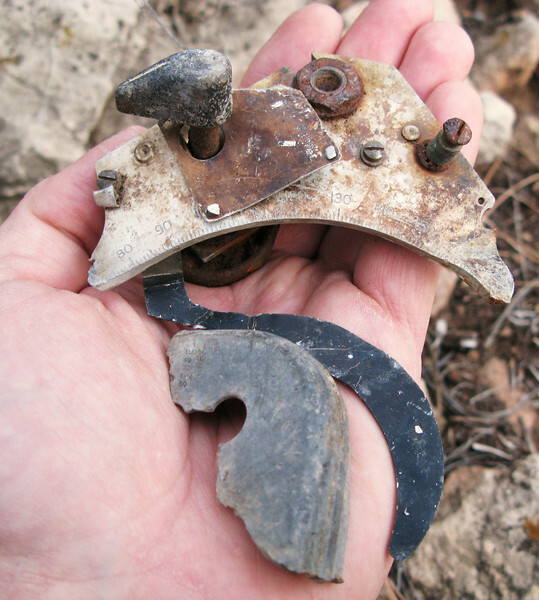 I was very fortunate to locate these two fragments of Flight 3's Sperry MK-1 ADF Control Unit. 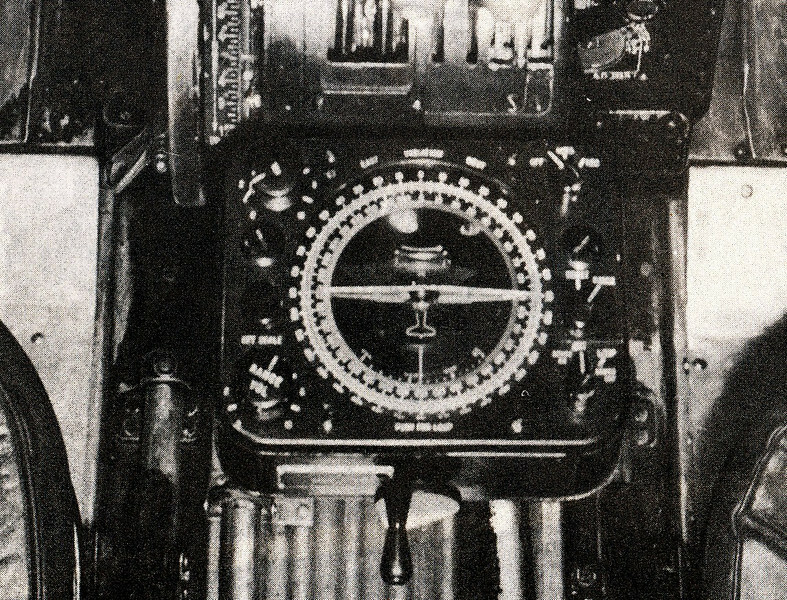 The ADF was the primary navigation instrument that was to be used departing Las Vegas at night. A TWA Flight Operations letter issued two weeks prior required its use due to occasional navigation beacon blackouts. I found this photo on the internet a while back. 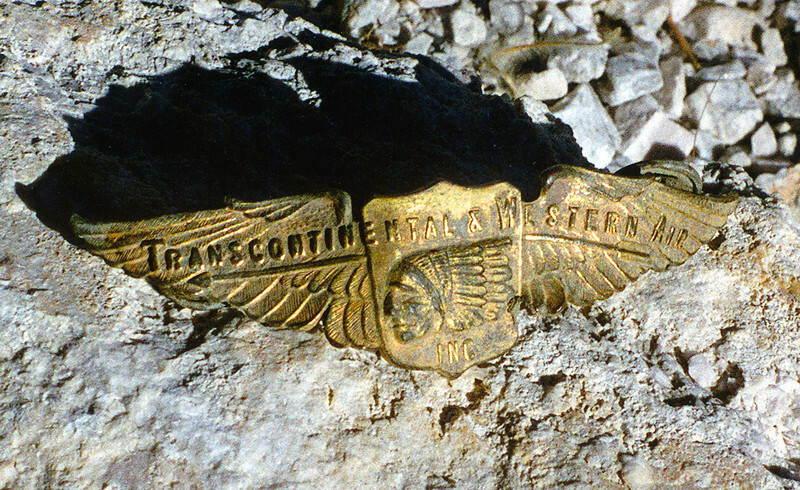 This airline uniform flight-wing belonged to either Captain Williams or Co-pilot Gillette and would have been worn on their uniform jacket. 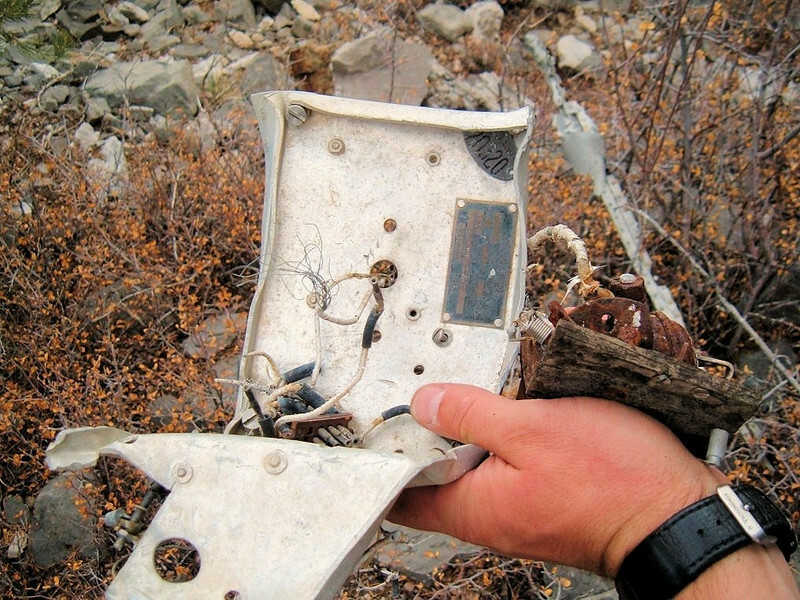 Apparently, it was recovered by a hiker who visited the crash site sometime during the late 1990s. Unfortunately, I don't have any other information about it. 1st. 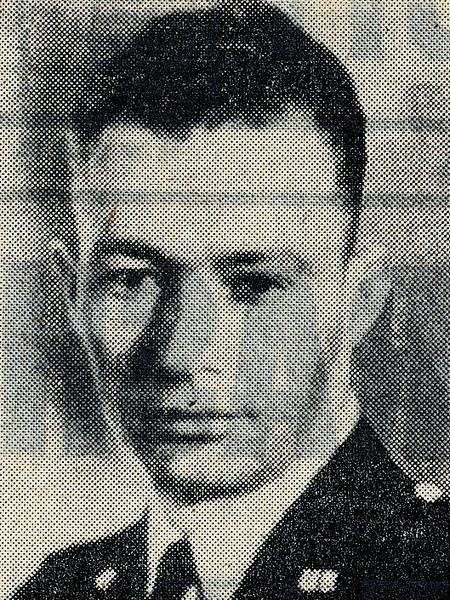 Lieutenant Robert E. Crouch. 2nd. 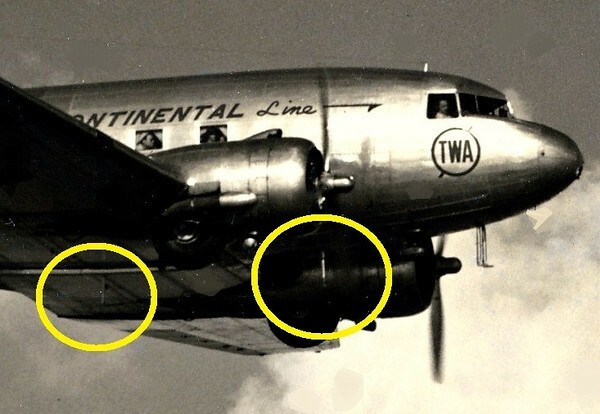 Lieutenant Frederick J. Dittman found himself on TWA Flight 3 by chance. Having commented to a fellow USAAF pilot in Albuquerque about the pleasures of flying home on TWA rather than a cold and drafty military transport, the two pilots exchanged seats at the last minute. 1st. 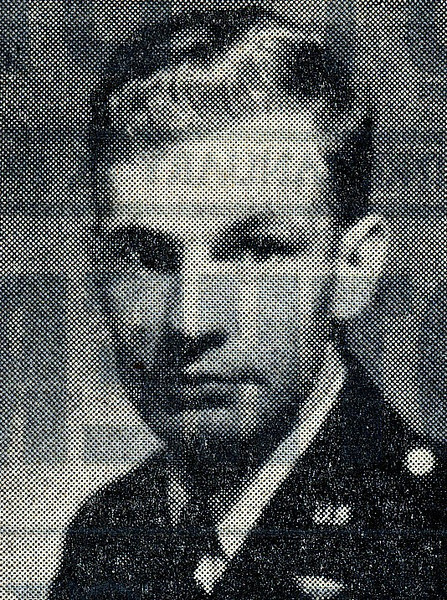 Lieutenant Hal Browne Jr. was from Long Beach, California. 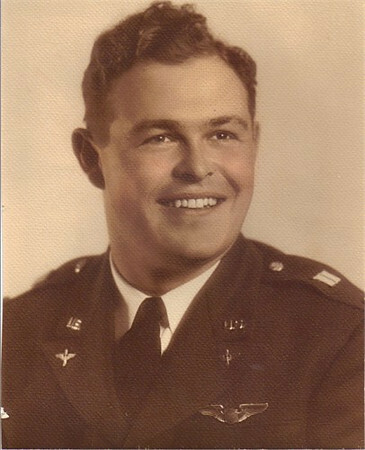 Second Lieutenant James C. Barham was from Waco, Texas. 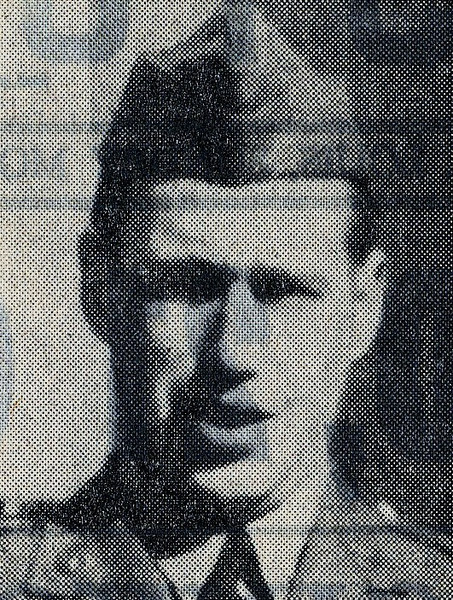 Corporal Milton B. Affrime was from Philadelphia. 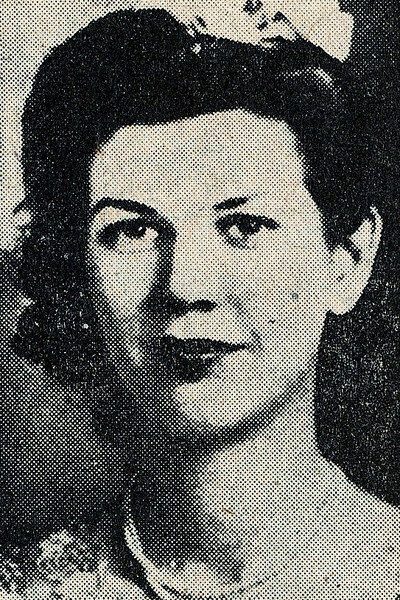 Mrs. Lois Hamilton of Lincoln Park, Michigan. She was enroute to California to join her husband, Lieutenant A.D.
Hamilton of the U.S. Army Air Corps. 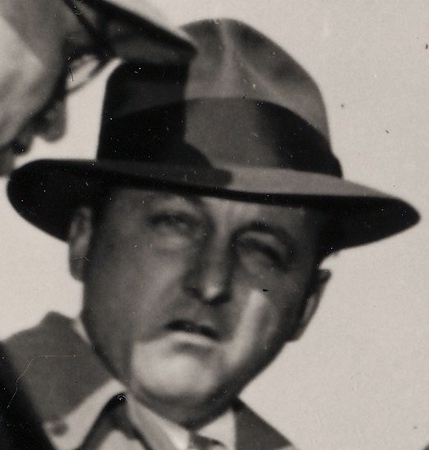 Mr. Otto W. Winkler age 39, seen here in Indianapolis on January 15, 1942 was not only an MGM Studio Publicist, but also a close friend of the Gables. He served as Best Man when Clark and Carole were married in Kingman, Arizona during 1939. 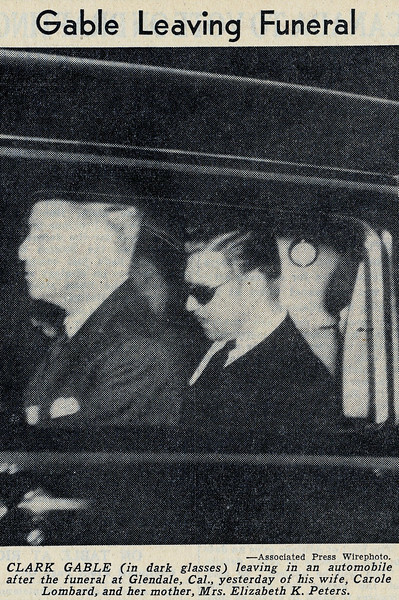 Clark Gable flanked by MGM Studio chief Eddie Mannix (left) and close friend Howard Strickland (right) leaving the El Rancho Hotel in Las Vegas after receiving word of no survivors. January 19, 1942. 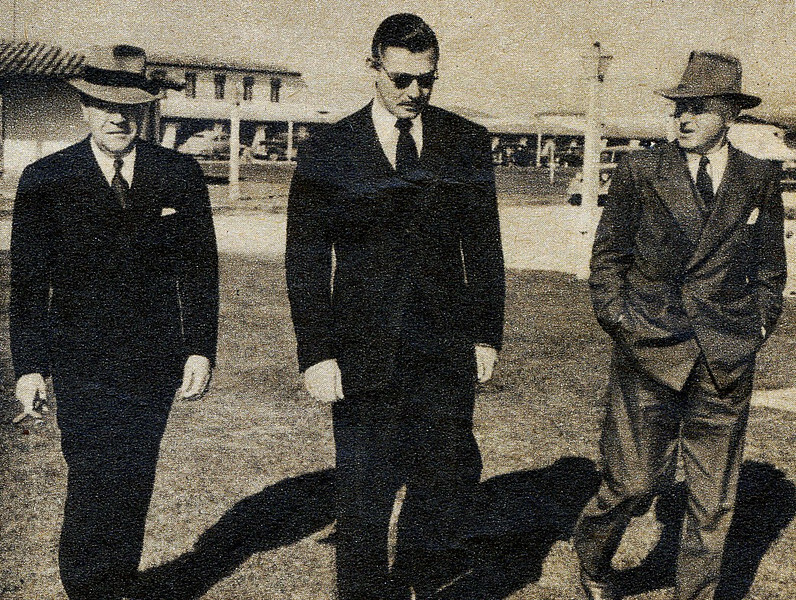 Clark Gable made the decision to stay in Las Vegas until the remains of his loved ones were recovered from the mountain. 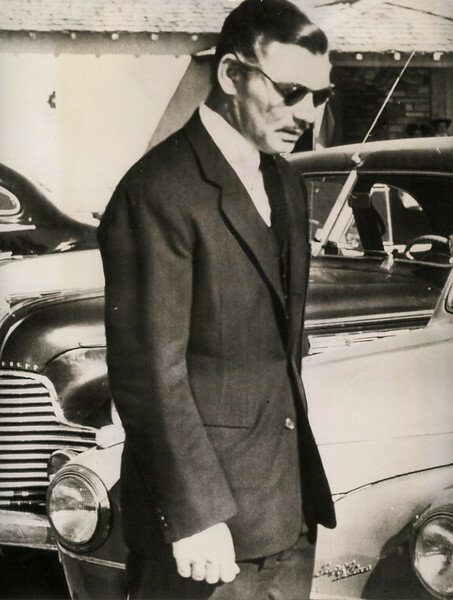 Clark Gable leaving the funeral at Forest Lawn in Glendale, California. Clark Gable was never the same after the accident. Upon his death from a heart attack in 1960, both Clark Gable and Carole Lombard were laid to rest together at Forest Lawn's Grand Mausoleum in Glendale, California. 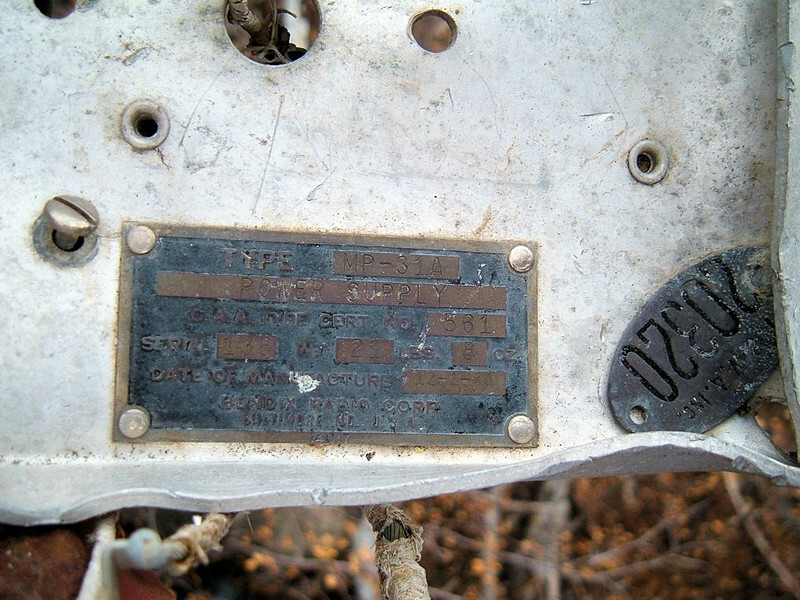 This memorial plaque was placed at the crash site to honor those who died. 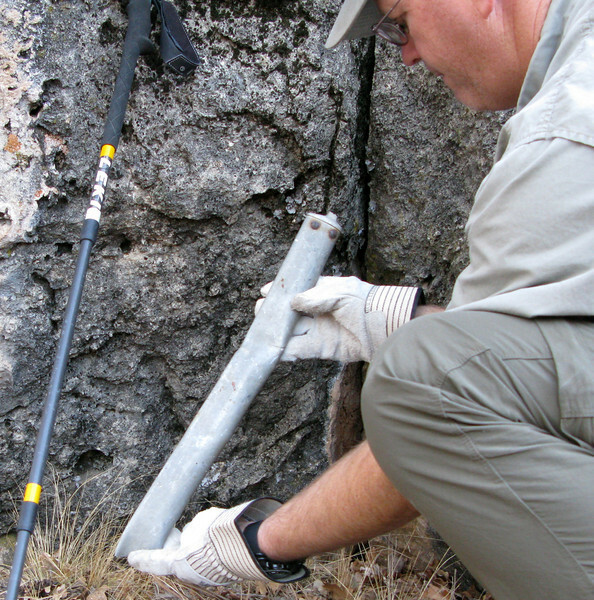 It was later removed in 2007 by the U.S. Forest Service. An interpretive historical plaque approved by the Forest Service is planned to be erected in the near future.